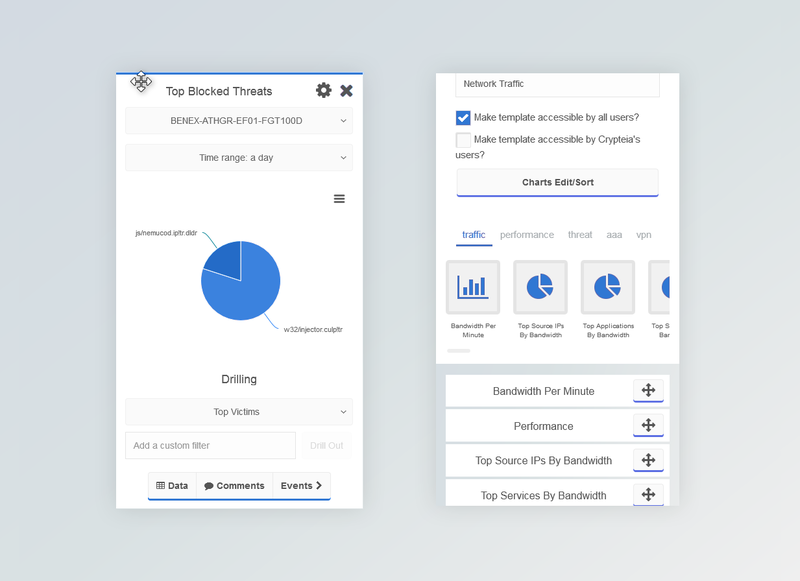 The Report Types lie inside a ribbon – which can be either on the right side of the screen or in the middle of the screen, depending on the device’s screen size – and are distributed in multiple categories/tabs. A chart is added to the report template by initially dragging the appropriate icon from the ribbon and dropping on the dropzone as illustrated below. After the first chart is placed on the dropzone, the rest of the charts can be dragged anywhere on the grey-coloured empty space, even between other charts. The selected reports types can be sorted at the desired position instantly. invisible in case of mobile devices. On mobile devices, in order to see the icons ribbon and initiate the procedure to start adding charts you have to tap on the Charts Edit/Sort button. The ribbon will then appear under the button that initiated the process and you can easily drag the icons to a compact mobile-friendly dropzone. To complete the procedure either click on the Charts Edit/Sort button again. Initiating the Drag & Drop procedure on a mobile device. On the left reordering a chart by dragging it from the chart’s title when the cursor turns into a move icon. On the right, the same icon as appears on a handle button for mobile and touch devices. 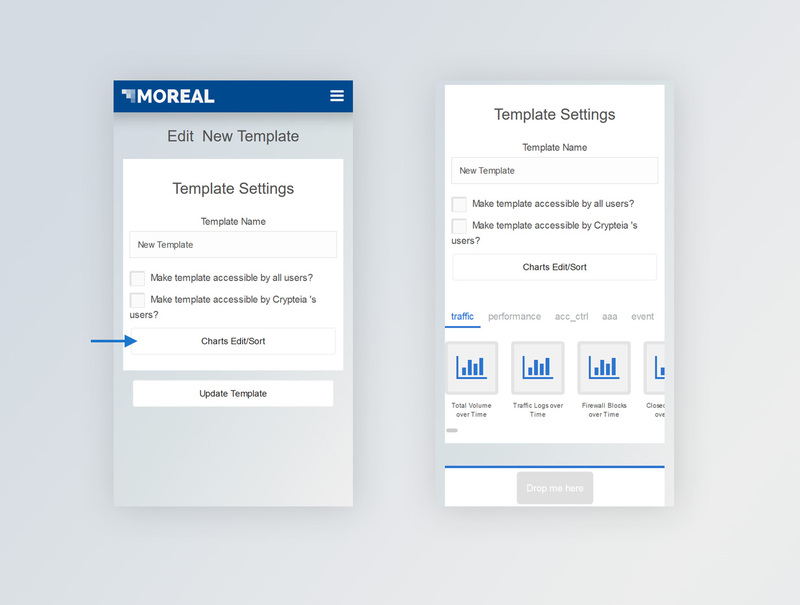 When all charts are in place and configured to fetch the desired data, the template can be saved for later use, by clicking on the Update Template button located on the top right of the screen. 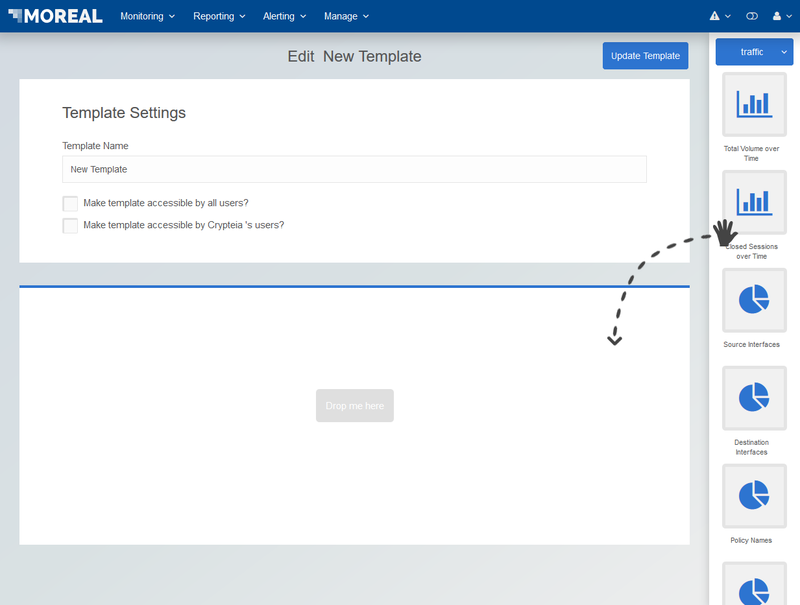 Additional authorization settings can be chosen on a report template, so that all users within the same organization with the current user or all users within the same organization or descendant organizations can access the specific template.